Delightful three bedroomed thatched cottage set in an unspoilt rural hamlet, recently refurbished to a high standard, sleeps 5. 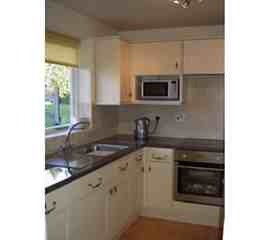 £320 - £650 / week. 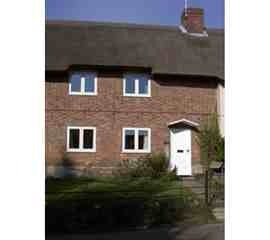 Holiday Cottage sleeping 5 people. Peacefully set in an unspoilt rural hamlet, just 6 miles north of Wareham and the Isle of Purbeck, this thatched cottage provides a delightful and comfortable holiday retreat. Bloxworth is an excellent base for exploring the historic market towns of Dorchester, Wimborne and Blandford Forum which are all within a 20 minute drive. The beaches at Studland, Swanage, Bournemouth and Sandbanks, as well as the World Heritage �Jurassic Coast� are easily accessible. There are plenty of outdoor pursuits to enjoy locally including walking, cycling, horse-riding, golf, sailing and fishing. Excellent pubs and local shops within 2 miles. 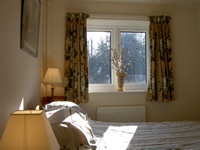 The cottage has recently been refurbished and is tastefully decorated and well equipped. DOWNSTAIRS the accommodation comprises fully fitted kitchen with microwave, dishwasher, freezer,integrated electric hob/oven etc, comfortable living/dining room with �living flame� stove and flatscreen TV/DVD, double bedroom, and family bathroom. Washing machine. UPSTAIRS, there is one double bedroom and one single bedroom. A back hall has a door leading to the enclosed garden, with garden furniture and BBQ. Garage and off road parking is provided for two vehicles. All bed linen (duvets), central heating and power is included in tariff. Well behaved small dogs welcome by arrangement, but sorry, the cottage is not suitable for children under 8. Short Breaks subject to availability - please enquire for prices. A most comfortable and cosy cottage in a great location. "Thank-you for a wonderful time in Glebe Cottage. We really enjoyed our stay as it is the most comfortable and cosy cottage in a perfect location with a fantastic garden for the dog. Looking forward to coming back next year. " The beaches at Studland, Swanage, Bournemouth and Sandbanks, as well as the World Heritage �Jurassic Coast� are easily accessible. There are plenty of outdoor pursuits to enjoy locally including walking, cycling, horse-riding, golf, sailing and fishing. Excellent pubs and local shops within 2 miles. Special Offers / Late Availability. All bed linen (duvets), central heating and power is included in tariff. Short Breaks subject to availability - please enquire for prices. Well behaved small dogs welcome by arrangement, but sorry, the cottage is not suitable for children under 8. Please contact the owner to check availability of this holiday home.